This is an education for people who want to learn how they can participate in their own health and well-being; leading to a balanced and harmonious life. While there are no ‘magic bullets’ or ‘quick fixes’ – Mental Imagery and the Principles of Spiritual Living assist us in dealing with the inevitable stressors of everyday life. Mental imagery can be therapeutic and instructive, helping us to deal with stress on all levels: physically, emotionally, mentally, socially and morally. It can help strengthen and improve emotional flexibility, stability and resiliency it can help relieve stress and its related symptoms. 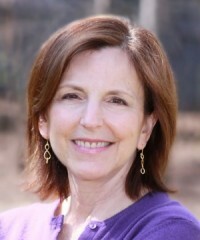 Amy Kruvant has extensive experience as a Licensed Clinical Social Worker. She is a graduate of and on the staff of The American Institute of Mental Imagery, (NYC). At AIMI, Amy studied- and is certified in- Phenomenology, Mental Imagery and Spiritual Therapeutics. Other post graduate certification includes EEG Biofeedback, EMDR, TFT as well as Human Resource Development. Amy’s work is aimed at the integration of the whole person (mind and body). Her repertoire of healing techniques includes Mental Imagery (mental biofeedback) as well as other forms of biofeedback such as Neurotherapy and HRV (heart rate variability) as well as EMDR and TFT . She teaches self-understanding and ways of tapping into our inner resources to bring understanding and answers to troublesome life questions/situations. ‘Mediate” through Mental Imagery: Discover inner resources to use for health and well-being. Learn tools for making effective decisions. Find out what dreams can tell us about our lives? “1-minute life repair” system and the “dis-emergency” techniques for transforming difficulties. “Talk Therapy”- been there/done that. Now what? Learn techniques for getting out of the ‘HYPER’ mode many of us are in as we go through our daily activities. Gain tools to develop healthy relationships. Develop an understanding of how our mind, body, and spirit are connected. Gain tools for making changes in thoughts, feelings, and behaviors. Experiment with new perspectives relationships. Spirituality: what does it mean and what role does it play in healing? Do we need to go to India to “get it”? What is Higher Self and/or Higher Consciousness all about? Join our discuss on Dr. Gerald Epstein’s Healing Into Immortality. *Please contact for additional information and workshop schedules.